To open our last season at IDIO Gallery, we return to form and touch with a solo show of tactile sculptures in wood and stone by Benjamin Heller, on view from Thursday, Sept 14th to Oct 1st. 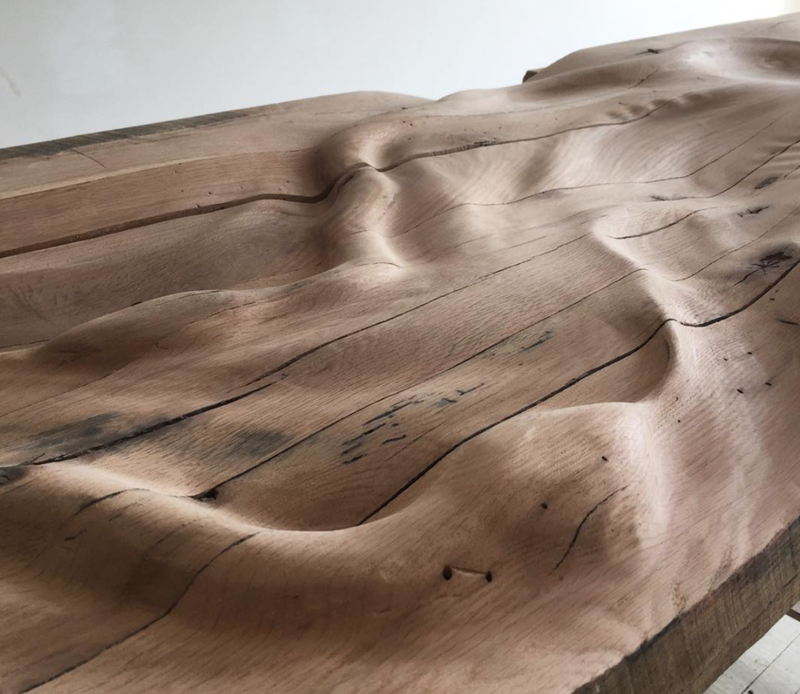 Surrounded by people, more disconnected than ever, our spirits longing and wistful for nature, Benjamin Heller carves out a space in raw materials to connect and remind us of our elemental humanity. Drawing from his experience with Butoh and other improvisational dance practices, where images lead the body into instinctual movement. He uses sculpture to transform these images into embodied forms that others can also experience and inhabit. These intimate objects and environments can be entered, opening a space for discovery via the body, senses, and the imagination. “We are blood, we are breath, at this level we are all the same, alive in a body,” reminds Heller. “We are more than eyes and brains.” Carving away at organic materials with the force and flux of his own body, Heller choreographs and massages images into the stone or wood in an abrasive process of sanding and washing away material - beginning as lines, then deepening and smoothing into hollows and entwined pathways. Intimate landmarks of human features invite the viewer to touch, behold and follow the movement in turn. We are invited to enter this space, and allowed to explore another body without the trappings of ego, identity or sexuality - to linger in the tender moment between meeting and understanding. By letting the objects choreograph us, we are free to be, connected.